What is the most important information I should know about phenelzine? There are many other medicines that can cause serious or life-threatening medical problems if you take them together with phenelzine. Do not take phenelzine before telling your doctor about all other prescription and over-the-counter medications you use, including vitamins, minerals, and herbal products. Keep a list with you of all the medicines you use and show this list to any doctor, dentist, or other healthcare provider who treats you. While you are taking phenelzine, you must not drink alcohol or eat foods that are high in tyramine, listed in the "What should I avoid while taking phenelzine?" section of this leaflet. Eating tyramine while you are taking phenelzine can raise your blood pressure to dangerous levels, causing symptoms that include sudden and severe headache, rapid heartbeat, stiffness in your neck, nausea, vomiting, cold sweat, vision problems, and sensitivity to light. Stop taking phenelzine and call your doctor at once if you have any of these symptoms. Phenelzine may impair your thinking or reactions. Be careful if you drive or do anything that requires you to be alert. Phenelzine is a monoamine oxidase inhibitor (MAOI) that works by increasing the levels of certain chemicals in the brain. Phenelzine is used to treat symptoms of depression that may include feelings of sadness, fear, anxiety, or worry about physical health (hypochondria). This medication is usually given after other anti-depressants have been tried without successful treatment of symptoms. 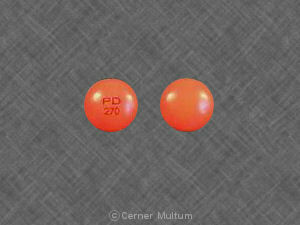 Phenelzine is not for treating severe depression or bipolar disorder (manic depression). Phenelzine may also be used for other purposes not listed in this medication guide. What should I discuss with my doctor before taking phenelzine? Do not use this medication if you have used another MAOI such as isocarboxazid (Marplan), rasagiline (Azilect), selegiline (Eldepryl, Emsam), or tranylcypromine (Parnate) within the past 14 days. Serious, life-threatening side effects can occur if you take phenelzine before another MAOI has cleared from your body. if you need any type of surgery with anesthesia. antidepressants such as citalopram (Celexa), duloxetine (Cymbalta), escitalopram (Lexapro), fluoxetine (Prozac, Sarafem), fluvoxamine (Luvox), paroxetine (Paxil), sertraline (Zoloft), or venlafaxine (Effexor). if you have taken another antidepressant within the past 5 weeks. FDA pregnancy category C. It is not known whether phenelzine will harm an unborn baby. Tell your doctor if you are pregnant or plan to become pregnant while using this medication.. It is not known whether phenelzine passes into breast milk or if it could harm a nursing baby. Do not use this medication without telling your doctor if you are breast-feeding a baby. How should I take phenelzine? It may take several weeks before your symptoms improve. Keep using the medication as directed and tell your doctor if your symptoms do not improve after 4 weeks of treatment. Seek emergency medical attention or call the Poison Help line at 1-800-222-1222. Overdose symptoms may include feeling drowsy or dizzy, severe headache, neck pain or stiffness, hallucinations, shallow breathing, fast and uneven heart rate, cold sweats, feeling like you might pass out, or seizure (convulsions). What should I avoid while taking phenelzine? yeast extracts (including Brewer's yeast). You should become very familiar with the list of foods and medicines you must avoid while you are taking phenelzine. Eating tyramine while you are taking phenelzine can raise your blood pressure to dangerous levels which could cause life-threatening side effects. What are the possible side effects of phenelzine? What other drugs will affect phenelzine? There are many other medicines that can cause serious or life-threatening medical problems if you take them together with phenelzine. Do not take phenelzine before telling your doctor about all other prescription and over-the-counter medications you use. This includes vitamins, minerals, herbal products, and drugs prescribed by other doctors. Do not start using a new medication without telling your doctor. Keep a list with you of all the medicines you use and show this list to any doctor, dentist, or other healthcare provider who treats you. Your pharmacist can provide more information about phenelzine.